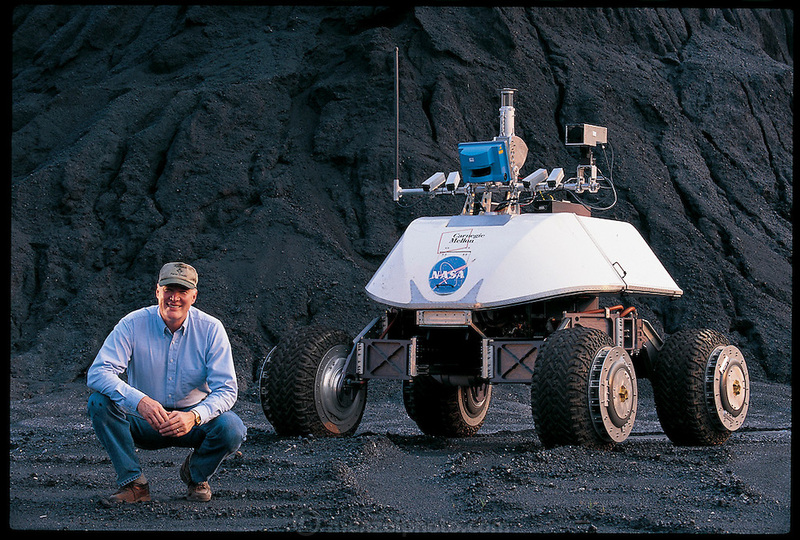 Not long before going to Antarctica, William L. "Red" Whittaker took a rare moment off from his busy schedule to accompany Nomad, his meteorite-hunting robot, on a practice run. The robot spent Antarctica's summer of 2000 on the ice, hunting for meteorites. With its onboard instruments, Nomad found and classified five. It was the first time that a machine autonomously made a scientific discovery. Pittsburgh, PA. From the book Robo sapiens: Evolution of a New Species, page 138-139.